J.S. Bach: Goldberg Variations, BWV 988 - Variatio 1 a 1 Clav. J.S. Bach: Goldberg Variations, BWV 988 - Variatio 2 a 1 Clav. J.S. Bach: Goldberg Variations, BWV 988 - Variatio 4 a 1 Clav. J.S. Bach: Goldberg Variations, BWV 988 - Variatio 5 a 1 ovvero 2 Clav. J.S. Bach: Goldberg Variations, BWV 988 - Variatio 7 a 1 ovvero 2 Clav. J.S. 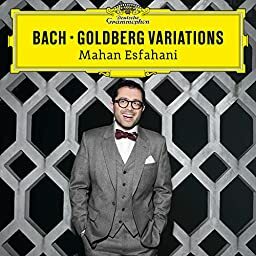 Bach: Goldberg Variations, BWV 988 - Variatio 8 a 2 Clav. J.S. Bach: Goldberg Variations, BWV 988 - Variatio 11 a 2 Clav. J.S. Bach: Goldberg Variations, BWV 988 - Variatio 13 a 2 Clav. J.S. Bach: Goldberg Variations, BWV 988 - Variatio 14 a 2 Clav. J.S. Bach: Goldberg Variations, BWV 988 - Variatio 17 a 2 Clav. J.S. Bach: Goldberg Variations, BWV 988 - Variatio 19 a 1 Clav. J.S. Bach: Goldberg Variations, BWV 988 - Variatio 20 a 2 Clav. J.S. Bach: Goldberg Variations, BWV 988 - Variatio 22 a 1 Clav. J.S. Bach: Goldberg Variations, BWV 988 - Variatio 23 a 2 Clav. J.S. Bach: Goldberg Variations, BWV 988 - Variatio 25 a 2 Clav. J.S. Bach: Goldberg Variations, BWV 988 - Variatio 26 a 2 Clav. J.S. Bach: Goldberg Variations, BWV 988 - Variatio 28 a 2 Clav. J.S. Bach: Goldberg Variations, BWV 988 - Variatio 29 a 1 ovvero 2 Clav.